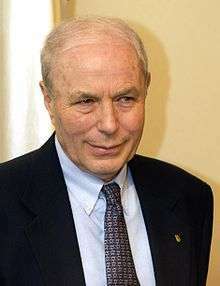 Avram Hershko (Hebrew: אברהם הרשקו‎‎; born 31 December 1937) is a Hungarian-born Israeli biochemist and Nobel laureate in Chemistry. ↑ Friedman, Sally (September 13, 2011). 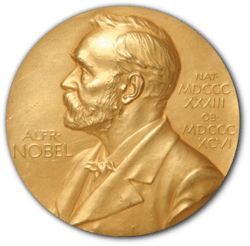 "Nobel Prize winner's discovery helps save longtime physician friend". Burlington County Times. phillyBurbs.com. Retrieved May 15, 2012. ↑ "Israel Prize Official Site – Recipients in 1994 (in Hebrew)". Archived from the original on 2008-12-27. ↑ Wolf Prize Recipients in Medicine Archived February 26, 2009, at the Wayback Machine. Wikimedia Commons has media related to Avram Hershko.